The shimmering Silver Box Set of 3 is truly something special to see. Each box gradually gets bigger, from a diameter of 15cm to 20cm, with the largest being 25cm in diameter. 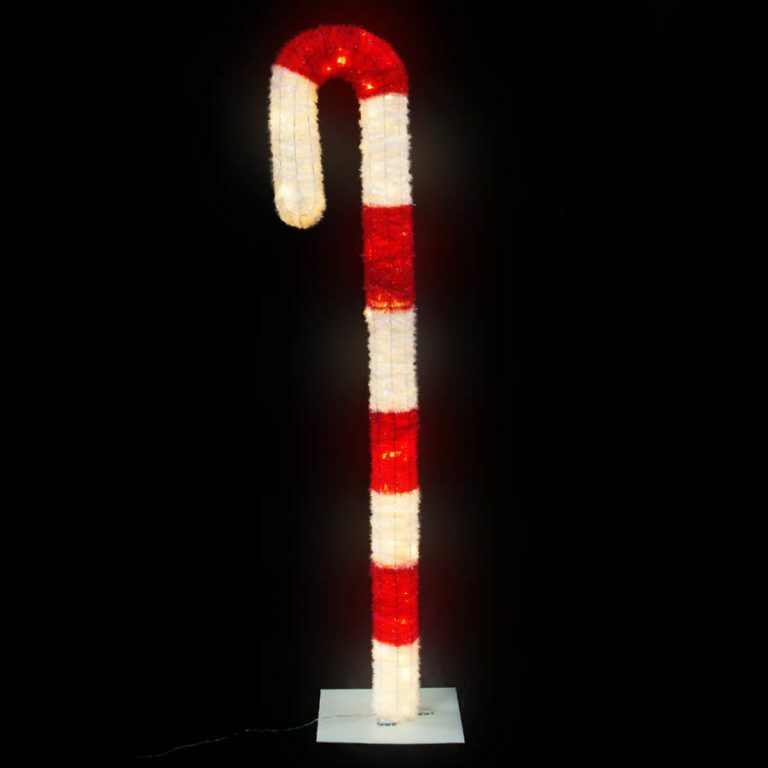 These make a simple, sparkling accent for a foyer or an entry, and would work well in an office or place of business. Enjoy the sparkling mesh texture of the facade, which is then accented with an equally as dazzling red bow. 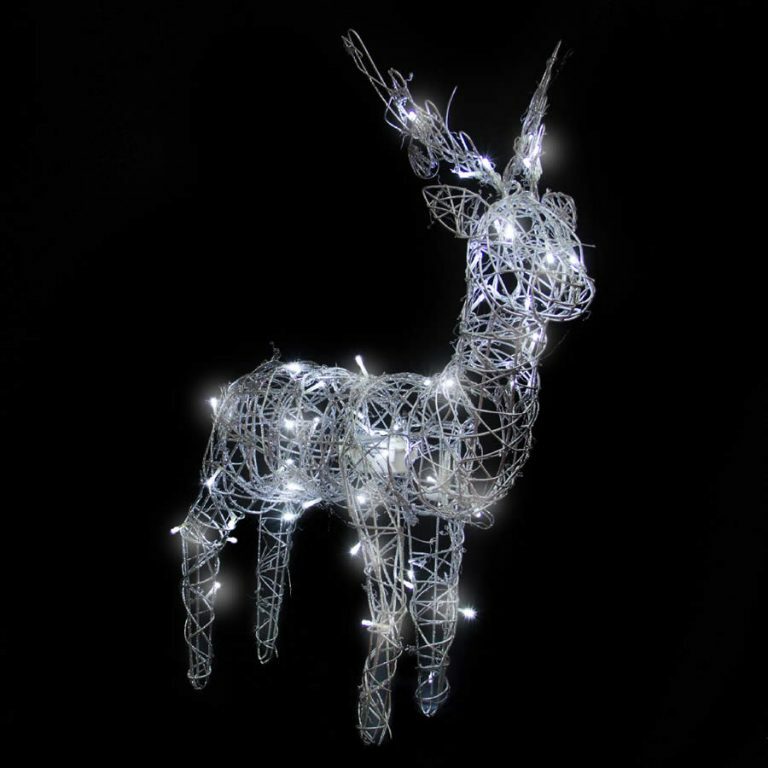 These would work well inside or outdoors, and could be paired with the LED pure white lights, offered and sold separately, for an illuminated display. These boxes will bring interest and spirit to the space, without a lot of effort or work. 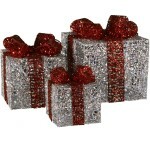 These would be stunning placed under a tree in the yard, as natural gifts during the holiday season. These comprise a lovely grouping, but could also be split up and used in various areas of the home. 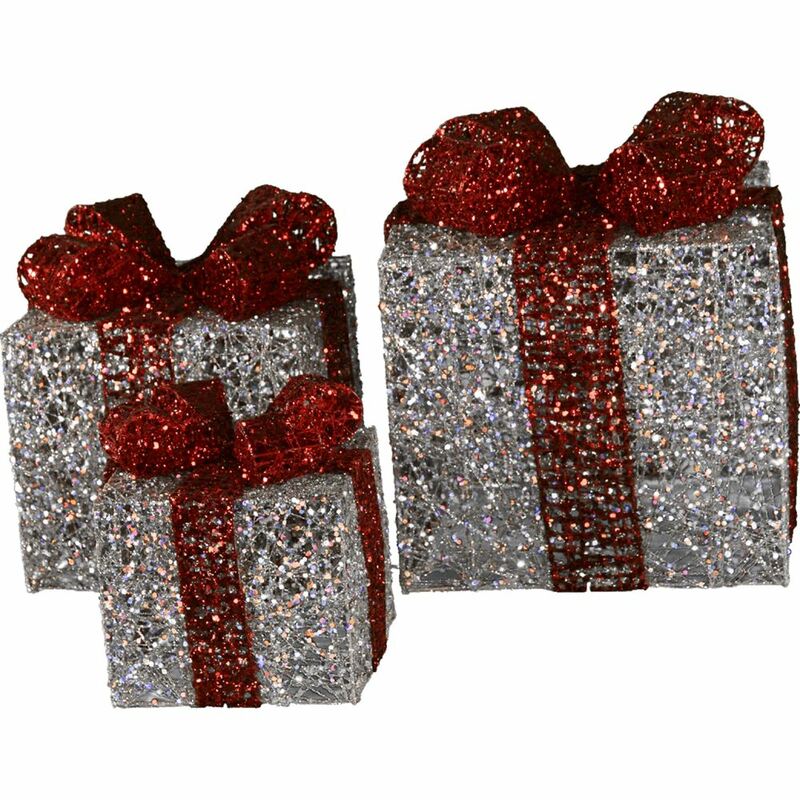 Give one as a gift to someone else so that they may display the beautiful mesh silver gift boxes during the Christmas season, too!